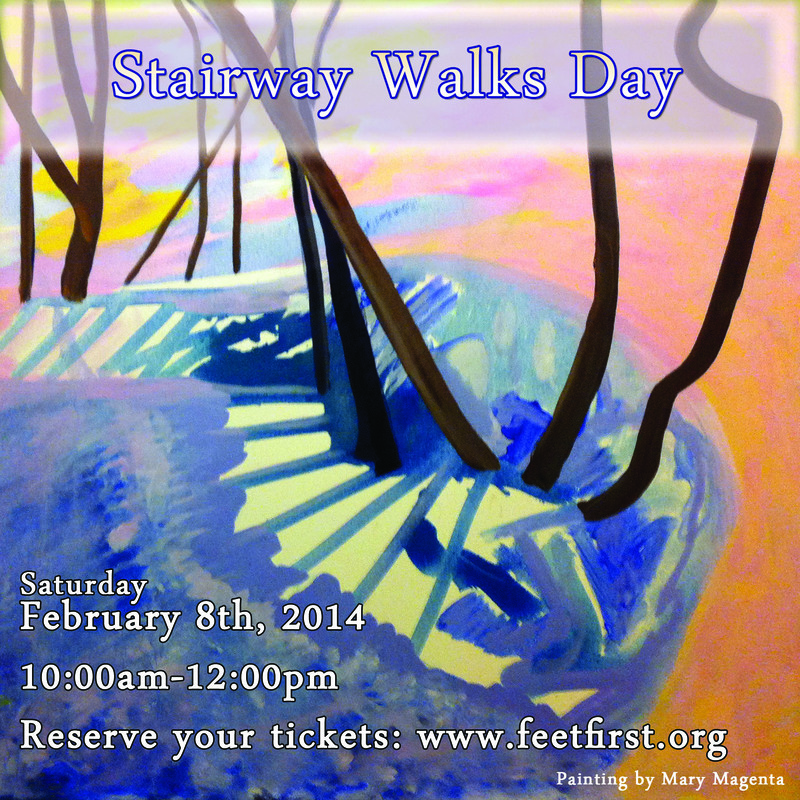 On Saturday, February 8, 2014, from 10:00am to 12:00pm, lace up your shoes, grab a friend, and join Feet First for the Second Annual Stairway Walks Day. One of our signature events of the year, Stairway Walks Day features eighteen simultaneous walks across the region, which celebrate the legacy of more than 650 publicly accessible stairways. Feet First Neighborhood Walking Ambassadors will lead 450 participants along several of the region’s most impressive stairways, collectively traversing up and down more than 100,000 steps. 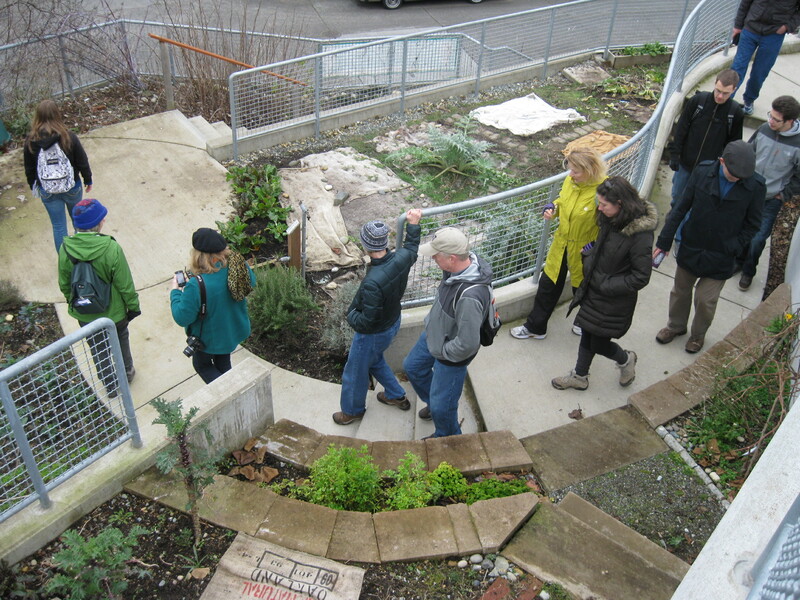 The stairway routes featured on Stairway Walks Day are from Cathy and Jake Jaramillo’s book Seattle Stairway Walks: An Up-and-Down Guide to City Neighborhoods. Last year every stairway walk was filled up in advance of the event. To ensure your space in Stairway Walks Day, register today. 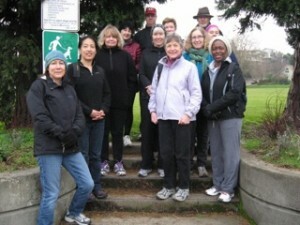 Urban explorers are invited to join one of eighteen guided neighborhood walks in Bellevue, Burien, and the following Seattle neighborhoods: Ravenna, Fremont, Maple Leaf, University District, Madrona, Eastlake, Queen Anne, Magnolia, Capitol Hill, West Seattle, Downtown, Mount Baker, Rainier Beach, and Seward Park. Should you have any questions about Stairway Walks Day please contact Drew DeVitis by emailing drew@feetfirst.org or calling 206-652-2310 ext. 5.